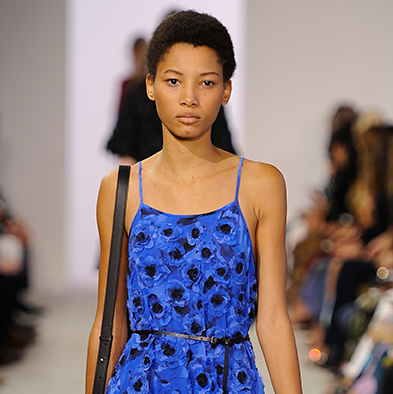 Michael Kors plans a bloomin' good time for spring 2016. 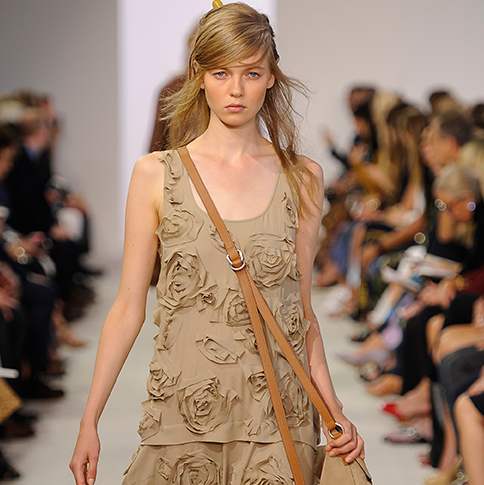 Like a lot of designers at New York Fashion Week, Kors showed a lot of flowers on the runway. 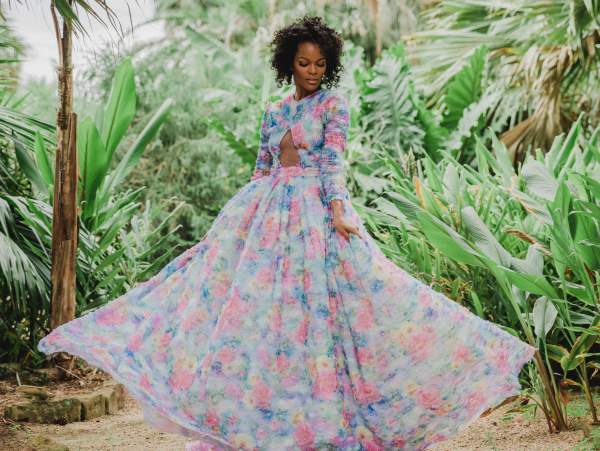 In his case, it's a three-dimensional look with dotted florals in a variety of colors — on a black coat worn by model Sasha Pivovarova; breezy blue day dresses and red V-neck cocktail dresses; and skirts in tan, blue, and red, sometimes worn with a contrasting peasant blouse for an earthy look. In addition, Kors features several dresses in a transparent poppy print silk chiffon fabric based on iconic Georgia O'Keeffe paintings. But Kors never gets too frilly. In fact, he darts to the dark side with several tough-girl black dresses dotted with tiers of silver grommets and slashed skirts. Kendall Jenner appeared in a simple black racer-back tank and tiered grommet skirt looking like she was ready to rumble. Kors told reporters that he played with the "yin and yang" of dressing in this collection, with looks that are "creative and strong, but still feminine" and have an "earthly elegance." 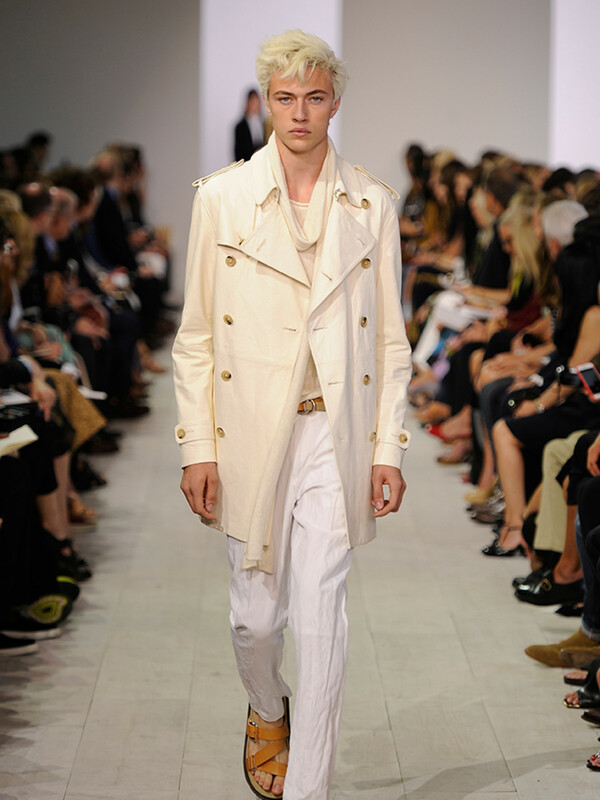 The collection also features a slew of basic Kors staples, including crisp white shirts and slouchy trousers, wool gabardine reefer coats, cropped cashmere turtlenecks, and linen dusters. 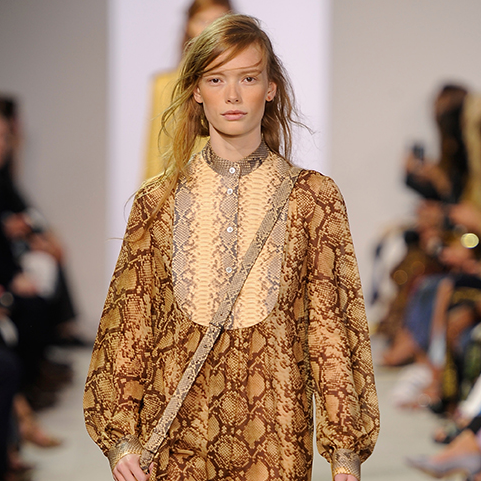 Coats trimmed in python, peasant dresses in bright orange, a terrific cashmere wrap sweater, and a few boudoir looks that feature delicate lace closed the well-rounded show. 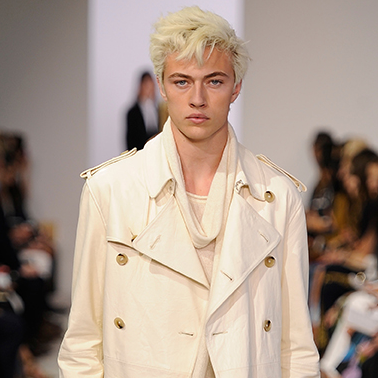 Kors also featured a few men's looks, including male model-of-the-moment Lucky Blue Smith in an ivory leather trench coat, ecru linen cashmere pullover, and white crushed cotton trousers. Another model, Ondria Hardin, was not so lucky. The teen from North Carolina fainted backstage, delaying the show about a half hour when an ambulance was called. 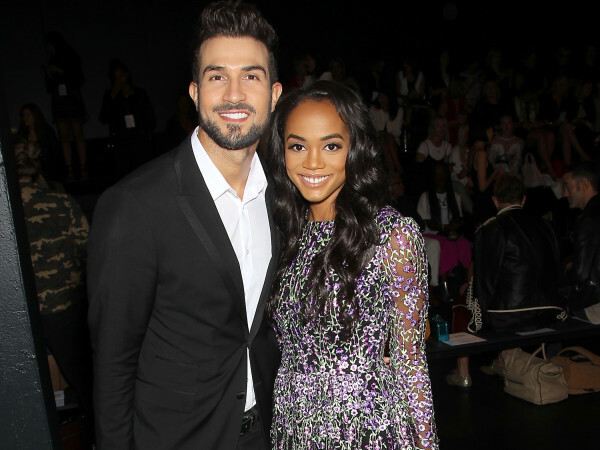 She was treated outside the venue for about 15 minutes with an oxygen mask, according to Women's Wear Daily.